On the 28th (Fri), pause for some serene contemplation at Kaplnka svateho Michala, then contemplate in the serene atmosphere at Cathedral of St. Elizabeth (Dom svatej Alzbety), then admire the local landmark of Singing fountain, and finally get to know the fascinating history of Kosice Historical Centre. Plan a trip to Kosice easily and quickly by telling Inspirock to suggest an itinerary. Seoul, South Korea to Kosice is an approximately 27-hour flight. Traveling from Seoul to Kosice, you'll gain 8 hours due to the time zone difference. Expect a bit cooler temperatures when traveling from Seoul in June; daily highs in Kosice reach 29°C and lows reach 15°C. Wrap up your sightseeing on the 28th (Fri) to allow time to drive to Zilina. Žilina is a city in north-western Slovakia, around 200km from the capital Bratislava, close to both the Czech and Polish borders. On the 29th (Sat), delve into the distant past at Strecno Castle, contemplate in the serene atmosphere at Church of St. Martin, then explore the stunning scenery at Janosikove Diery, and finally explore the historical opulence of Hrad Lietava. 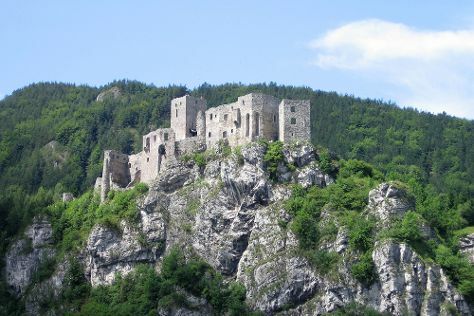 Get ready for a full day of sightseeing on the next day: get engrossed in the history at Slovakian National Museum, then make a trip to Wedding Palace, and then step into the grandiose world of Budatin Castle. To find more things to do, photos, and more tourist information, you can read our Zilina trip itinerary maker site . Drive from Kosice to Zilina in 3 hours. Alternatively, you can take a train; or take a bus. In June, plan for daily highs up to 27°C, and evening lows to 13°C. Finish your sightseeing early on the 30th (Sun) to allow enough time to drive to Bratislava. Appreciate the collections at Danubiana Meulensteen Art Museum and Nedbalka Gallery. Get some cultural insight at Devin Castle (hrad) and Bratislava Old Town. The adventure continues: enjoy the sand and surf at Magio Beach, test your problem-solving skills at popular escape rooms, contemplate in the serene atmosphere at St. Martin's Cathedral (Dom svateho Martina), and step into the grandiose world of Bratislava Castle. To find ratings, maps, more things to do, and tourist information, read Bratislava trip itinerary planner . You can drive from Zilina to Bratislava in 2 hours. Alternatively, you can take a train; or take a bus. In June, plan for daily highs up to 30°C, and evening lows to 17°C. Wrap up your sightseeing on the 3rd (Wed) to allow time to travel back home.